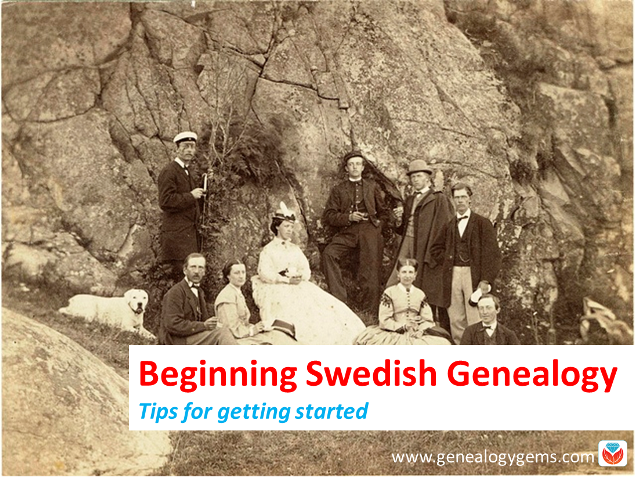 Beginning Swedish genealogy can be daunting. But don’t let language barriers or unfamiliar naming traditions deter you! 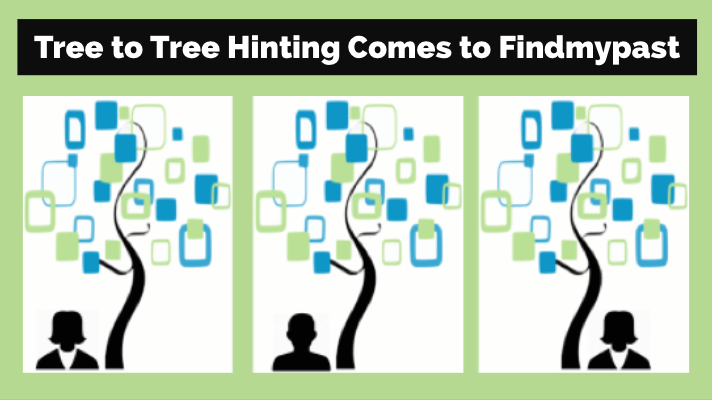 Check out these getting-started tips from an expert at Legacy Tree Genealogists. This guest post comes from Paul Woodbury, a Senior Genealogist with Legacy Tree Genealogists. He’s an internationally recognized genetic genealogy expert and his varied geographical interests include Scandinavia. Thanks, Paul! Many people avoid Swedish research because they don’t speak the language and because the names change every generation–like from Ole Olsson to Ole Nilsson to Nils Pehrrson. Despite these barriers, Swedish research can be relatively simple, fun, and successful for several reasons. 1. You can “read” many records without reading Swedish. Clerical examination (“husförhörslängd”)–more on these below. Dates were frequently recorded in number formats according to the European system (dd-mm-yyyy). As a result, researchers can learn a great deal from Swedish documents with little knowledge of the Swedish language. For the few additional words you may need to learn, consider reviewing this list of words commonly found in Swedish documents available through FamilySearch.org. 2. Family events are summarized in Swedish clerical examinations. The clerical examination or “husförhörslängd” can act as an index to important family events. Beginning in 1686, each parish was required to keep a household examination for each household. Many early records don’t survive, but copies of these records exist for many parishes in Sweden after about 1780. As part of the household examination, parish priests of the Swedish Lutheran church were required to visit with the members of their parish at least once yearly and test them on their knowledge of the catechism. Typically, these registers document a family over the course of 5-10 years. They not only include information about the family’s religious duties, but additional information regarding migration, family structure, residence and important family events. If a child was born, he or she was added to the clerical examination, and the birth date and christening date were noted. If an individual or a family moved within the parish, a note was made in the clerical examination with a reference to the page number of the family’s new residence. If they moved out of the parish, the date they left was often recorded along with the number of their entry in the moving-out books. The dates of deaths, confirmations, marriages, vaccinations and communions were also recorded. If you are lucky, additional notes might comment on crimes, physical characteristics, occupations, punishments, social standing, economic status, or other life events with references to pertinent records. ArkivDigital, Dals-Ed (P) AI:15 (1866-1875), clerical examination, household of Per Johansson, Image 74 / page 64, https://app.arkivdigital.se, subscription database, accessed July 2017. The above Household Clerical Examination in Dals-Ed Parish in Älvsborg covers 1866-1875 and shows the household of Per Johansson on the farm of Lilla Wahlberg in Bälnäs. The document provides birth dates and places for each household member. It shows that Per’s son, Andreas, moved to Norway in 1872. Another son, Emanuel, moved within the parish but returned after just a month. Among other notes on the document, we learn that Emanuel only had one eye and that he was a dwarf. 3. Many Swedish records cross-reference each other. Clerical examinations reference other church records, such as those of a child’s birth or a couple’s marriage. But the reverse is also true: birth, marriage, death and migration records frequently reference household examinations. Birth records might list the page number of the child’s family in the household examination. Marriage records indicate the corresponding pages of the residences of the bride and the groom. Death records identify the residence of the deceased. Moving-in and moving-out records frequently report the corresponding page numbers of the farm where a migrant eventually settled or the parish from whence he came. 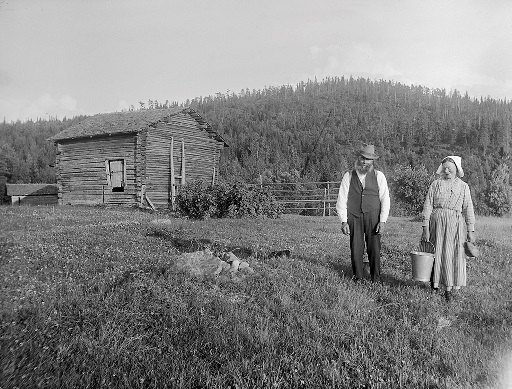 The yeoman farmer Ollas Per Persson and his wife Greta at a hut in Dalecarlia. Photograph by: Einar Erici, c1930. Wikimedia Commons image, Permission granted Swedish National Heritage Board @ Flickr Commons. Most clerical examination buy medication for anxiety volumes include an index of farms and residences within the parish. In the case of some larger parishes and cities, local genealogical societies have sometimes indexed all individuals in the volume by name. When researching in multiple volumes, note the farm or residence of your ancestor in the previous record and then search the index of residences near the front or end of the next clerical examination volume. Usually, this will narrow your search to just a few pages out of the book rather than the entire volume. 4. You can trouble-shoot record gaps. Even when an ancestor’s record trail turns cold, recent publications and indexes created by active Swedish genealogical societies make it possible to pick up the trails of elusive ancestors in earlier and later records. Even if these records do not list the specific pages of interest, they may still provide the reported residences, which can then be located in the clerical examination records. Occasionally, an ancestor might have moved in a year for which migration records are not currently available, or they might have moved to a larger city with many parishes. Other times, their migration may not have been noted, or jurisdiction lines may have been redrawn resulting in the formation of a new farm and residence. 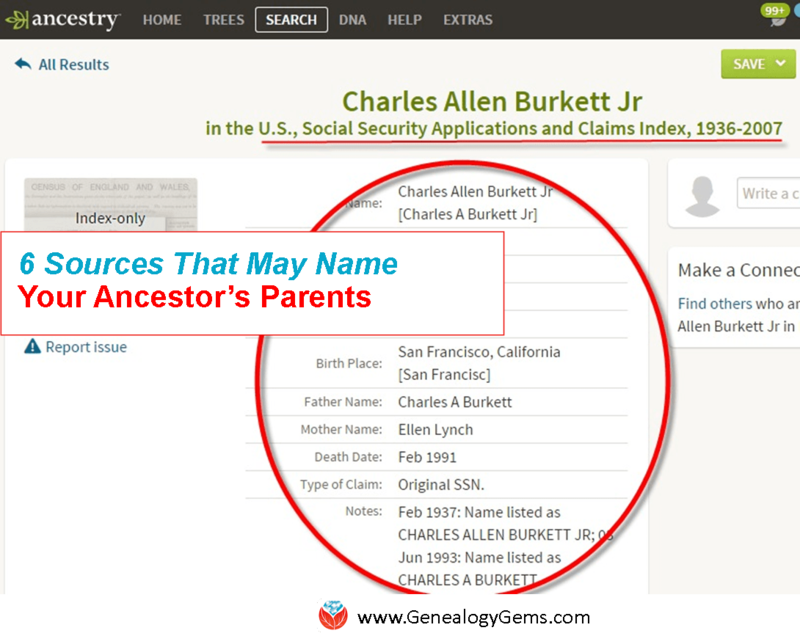 In these cases it may be difficult to continue tracing an ancestor’s record trail. One strategy to overcome these situations is to search the clerical examinations by reported birth date. The birth dates or ages of Swedish ancestors are recorded in many of their records. If you are browsing through large collections, consider searching by birth date rather than by name. Since birth dates were often recorded in their own unique column and are more immediately recognizable than names, this may expedite your search. Even if these strategies still yield no results, searches in indexes may help to uncover an elusive ancestor’s record trail. 5. There are some excellent Swedish indexes and databases online. FamilySearch.org, MyHeritage.com and Ancestry.com all have large collections of indexed birth, marriage and death records from Sweden. Other indexed collections at ArkivDigital include the 1950 and 1960 Swedish censuses. Ancestry.com has indexes of Gotenburg passenger lists, which can help identify relatives who migrated from Sweden to others parts of the world. As you can see, Swedish genealogical records from the late 1700s and 1800s can be fairly easy to read, detailed and full of cross-references. It’s often possible to trace a Swedish ancestor in every year of their life from birth to death! So don’t let language or patronymics (naming traditions) frighten you away from exploring your Swedish family tree. Have you hit a brick wall that could use professional help? Or maybe you simply don’t have the time for research right now? 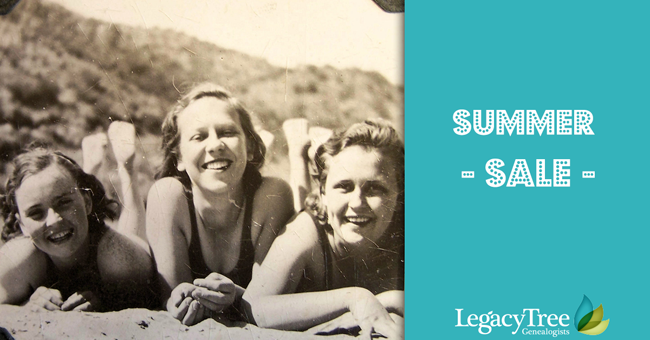 Our friends at Legacy Tree Genealogists provide full-service professional research customized to your family history, and deliver comprehensive results that will preserve your family’s legacy. To learn more about Legacy Tree services and its research team, visit the Legacy Tree website here. A very nice Nice and informative blogpost. I must however recommend that one tries to learn a bit swedish before looking through the old swedish churchrecords . If I as a experienced swedish family researcher do sometimes read things wrong. Then the risks for people not versed in swedish or swedish history have higher risks on getting it wrong. I have seen many horrors in the family threes at Ancestry.com ! .Arkivdigital has the best pictures on color from the churchrecords and also longest period. Ancestry only has houshold examinations to about 1895 .Arkiv digital has them and their successors Församlingsböcker (Clerical surveys) sometime sinto the 1920thies. Thanks for your comments and additional resources, Anna-Karin S. The FamilySearch wiki has a free Swedish genealogical word list and it links to a Swedish historical dictionary database. Copy and paste this link into your browser: https://familysearch.org/wiki/en/Swedish_Genealogical_Word_List.